I’ve started wearing bracelets just about everyday and I absolutely love them. From a simple diamond tennis bracelet to bangle bracelets, a bracelet (or two, three…) can add another element to your outfit. 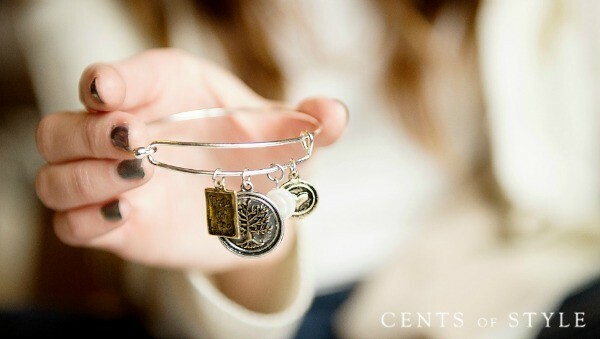 Look how these Inspirational Charm Bangle Bracelets from Cents of Style are stacked together to create one fabulous look. 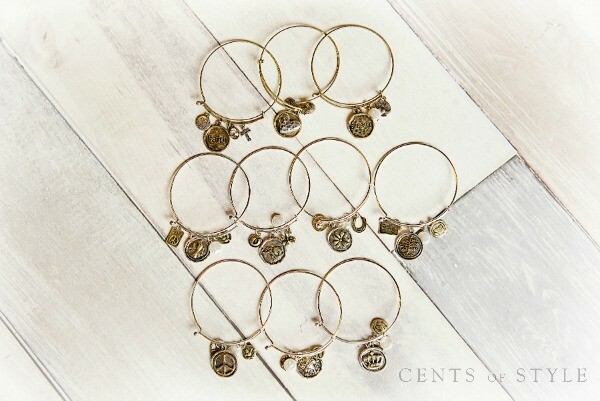 Today only (1/7/15) Cents of Style has 10 different styles of charms colored in antique silver and bronze for only $7.95 plus FREE Shipping. The styles are Clover, Crown, Heart, Tree, Elephant, Peace Sign, Bird, Faith, Blessed, & Love. Their #StyleSteals are on a first come, first serve basis and once they run out, they will not be restocking. 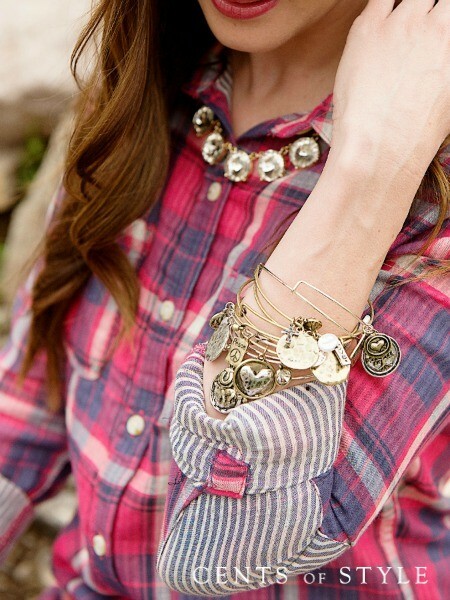 Head on over to Cents of Style today, before they run out, and choose a bracelet for yourself or a special friend.